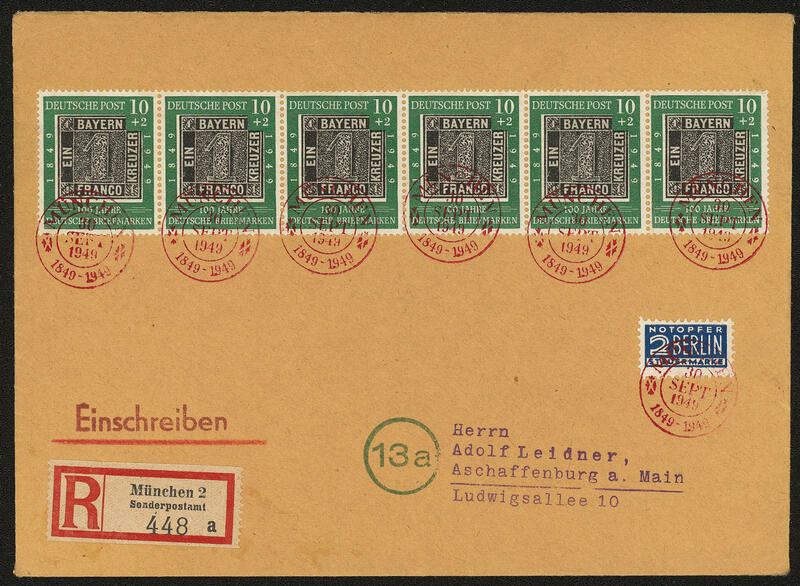 3306 /⊙ Federal Republic of Germany - extensive inventory miniature sheets of 10 packed in a carton, with a lot of post valid issues. Please have a look! 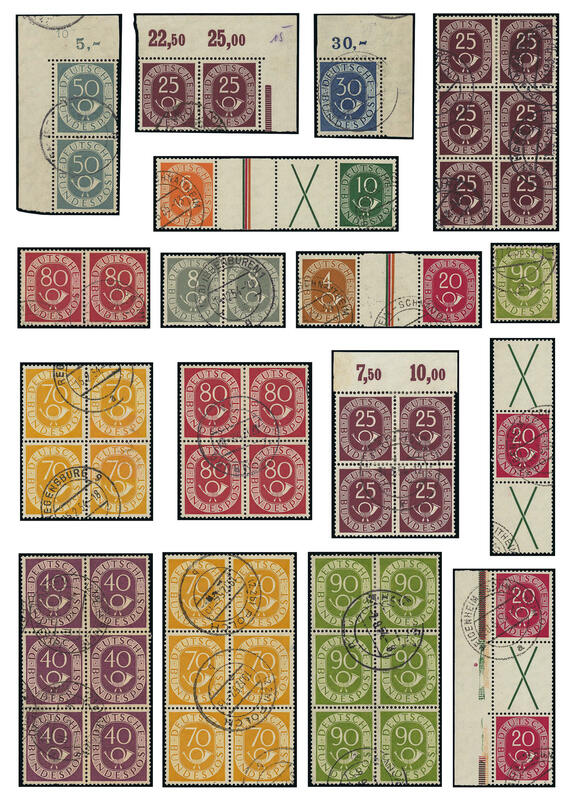 3308 ⊙/∆ Federal Republic of Germany / posthorn - interesting and extensive special collection the posthorn edition in two ring binder accommodated with a lot of scarce material, as well corners of the sheet, upper margins, blocks of four, also larger multiples, 50 Pfg. In the vertical corner margin pair top left with printer sign 10, 70 Pfg. Block of four and block of six, 80 Pfg. Block of four and block of six, 90 Pfg. With three blocks of four, two blocks of six and a legitimately cancelled block of fourteen, also the 90 Pfg. With the good plate flaw, better se-tenants and so on, please check carefully and calculate! 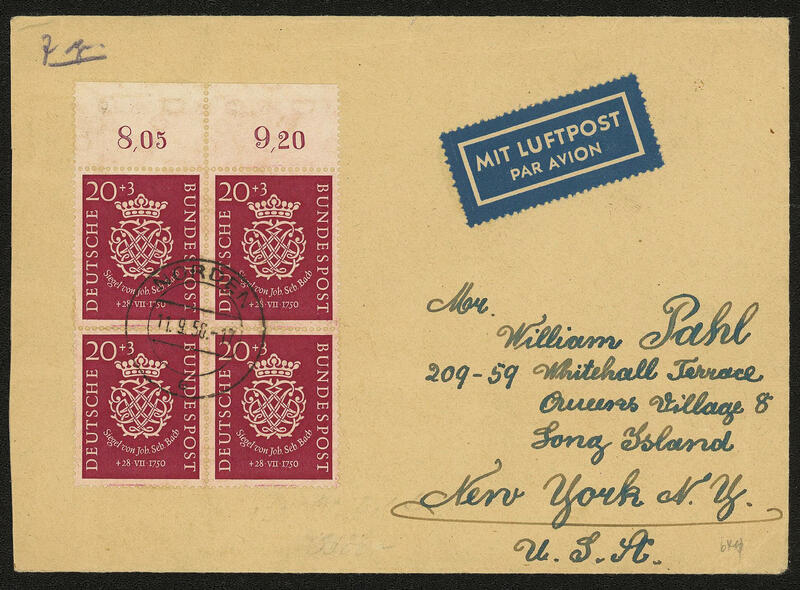 3309 ✉ Federal Republic of Germany / se-tenants - nice collection from covers and cards with frankings of the se-tenants, as well scarce combinations posthorn including gutters, with also WZ3 / 4 se-tenant on registered cover, S8 as correctly franked on cover and so on. A beautiful object! 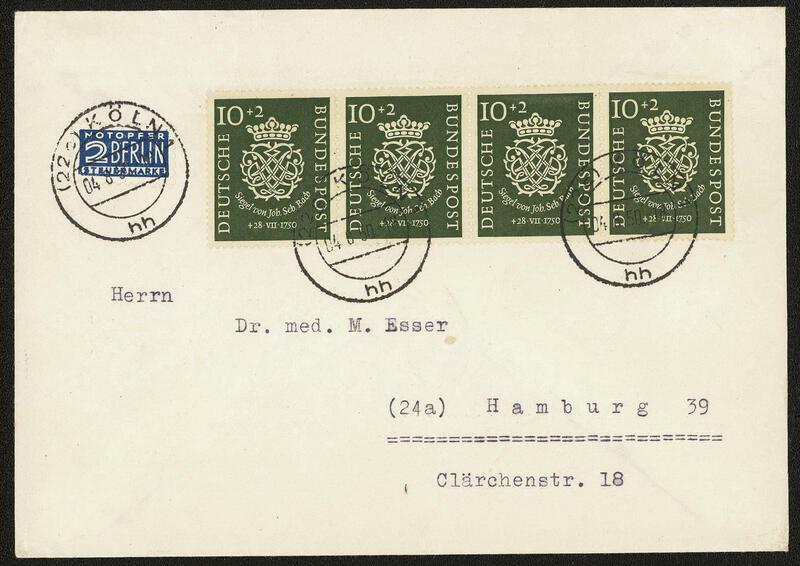 3310 ✉ Federal Republic of Germany / posthorn - rich collection from covers and cards with many interesting documents in five ring binder. Thereby many interesting documents, various use form, numerous package cards, mixed postage steps, interesting franking combinations and so on. Please check carefully! 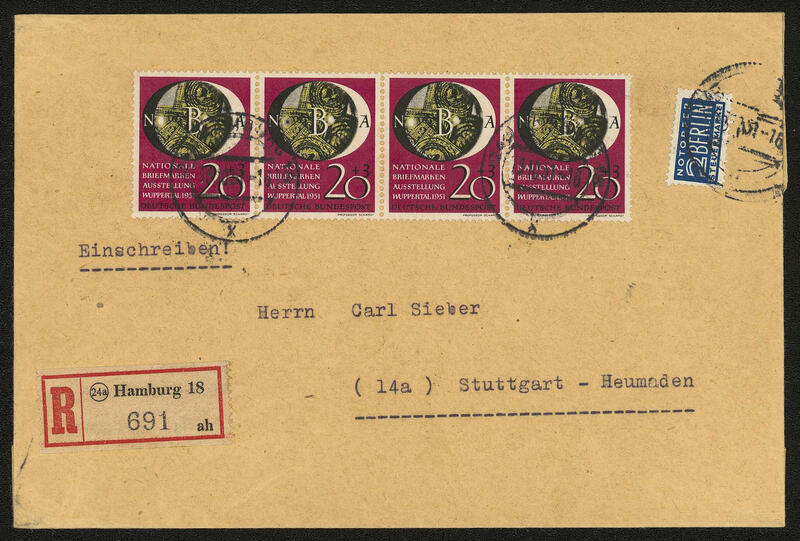 3311 ✉ Federal Republic of Germany - very interesting and extensive collection from covers and cards in eight albums accommodated with a large amount of material. As well a strong part beginning years with a great many good single- and multiple franking including welfare top values, registered, also good frankings posthorn and so on. Must see! 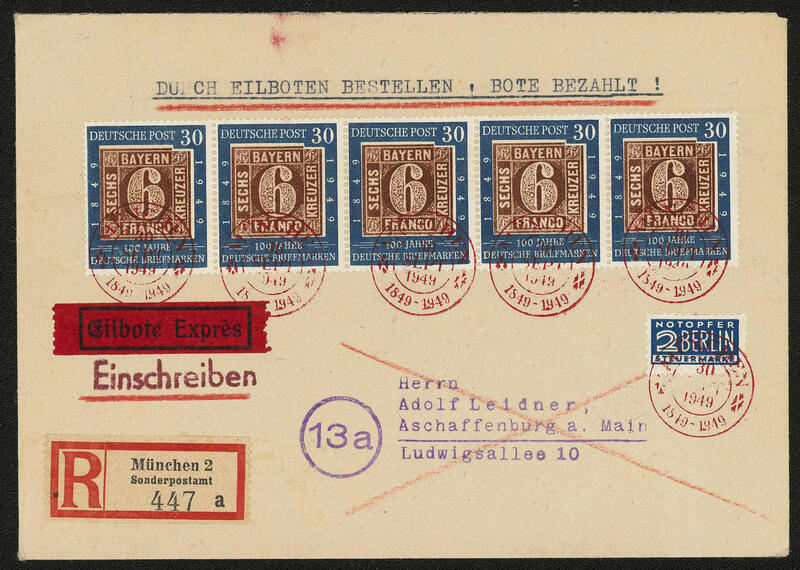 3312 ⊙/∆/✉ Federal Republic of Germany - interesting collection the welfare issues in a large stockbook, as well top values the early issues including blocks of four, better single- and multiple franking and so on. Please have a look! 3320 ⊙ Federal Republic of Germany / posthorn - extensive used inventory the posthorn edition in ten large stock books accommodated. As well wide over 200 complete sets. Of the 70 Pfg. Are in total approximate 470 examples available. Also for the specialist from plate flaws an interesting treasure trove! 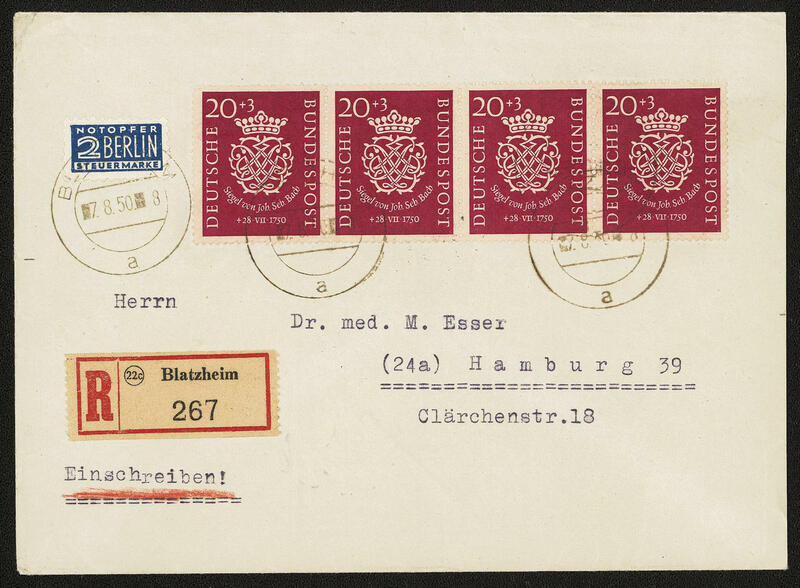 3330 Federal Republic of Germany - extensive inventory from mint never hinged issues in five albums / stock books accommodated, as well a great many postal valid values. Please have a look! 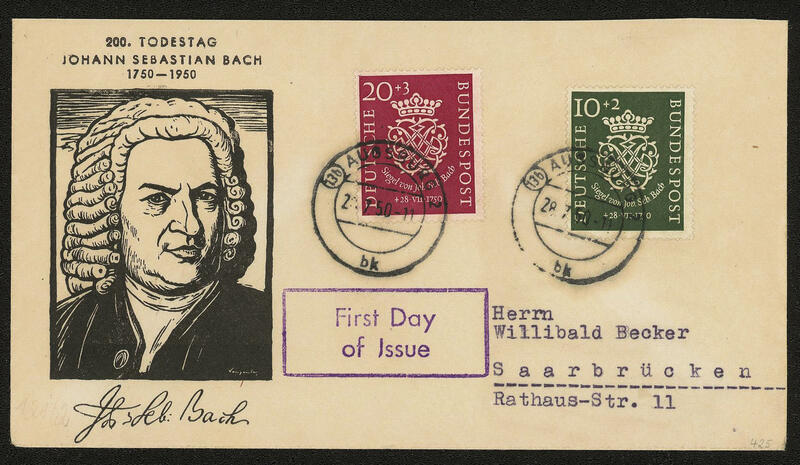 3363 ✉ Federal Republic of Germany - very nice and extensive collection from covers, cards and First Day Cover of the early years en masse ring binder with lots of material, good frankings as for instance a number of sets 100 years stamps 1949, with also magnificent multiple franking from six respectively five copies of all three values, Bach seals in strip of four as multiple franking, numerous sets helper of human resources and so on. A rarely beautiful object! 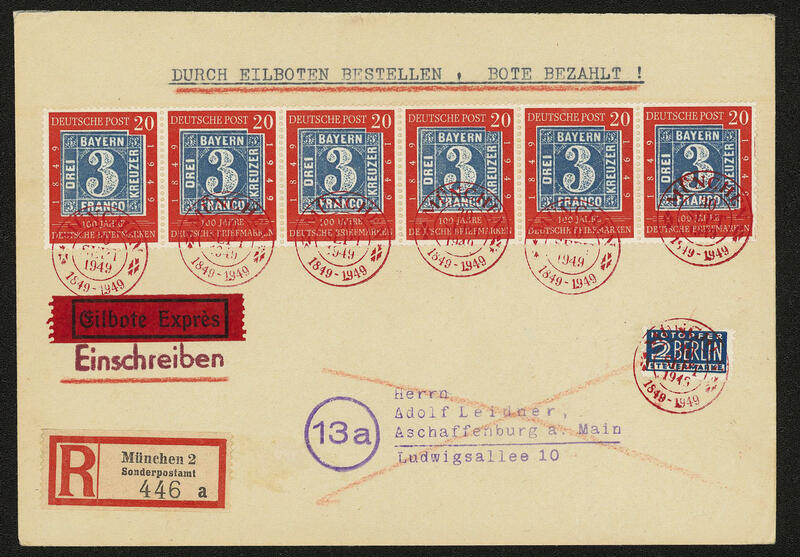 3397 Federal Republic of Germany / nominal - extensive inventory from post valid mint never hinged issues packed in a carton, as well numerous sheetlet of ten and stamp booklet. Very high face value!